Bryn Lennon/Getty ImagesSven Nys ruled one of Europe’s toughest sports before launching a successful business career. 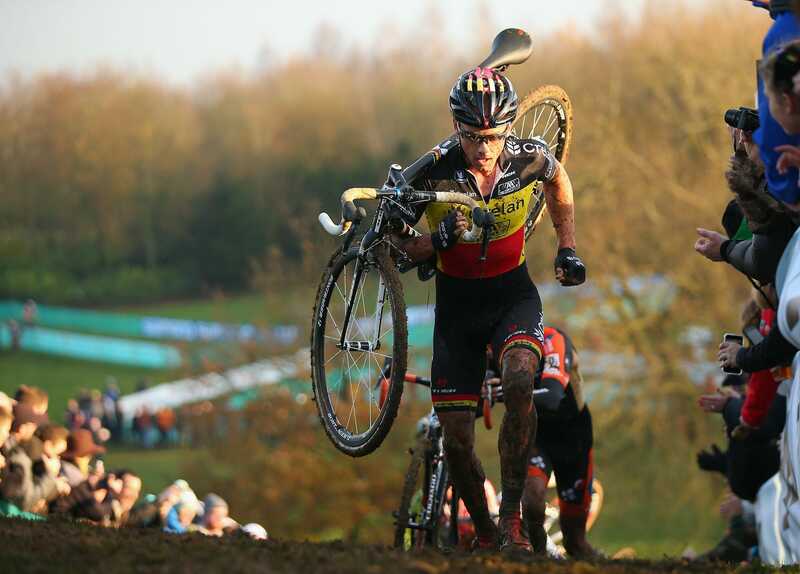 Belgium’s Sven Nys is the greatest cyclocross rider of all time. He told Business Insider he attributes his 140 victories and world titles to outworking his rivals, thinking creatively, and not copying others. 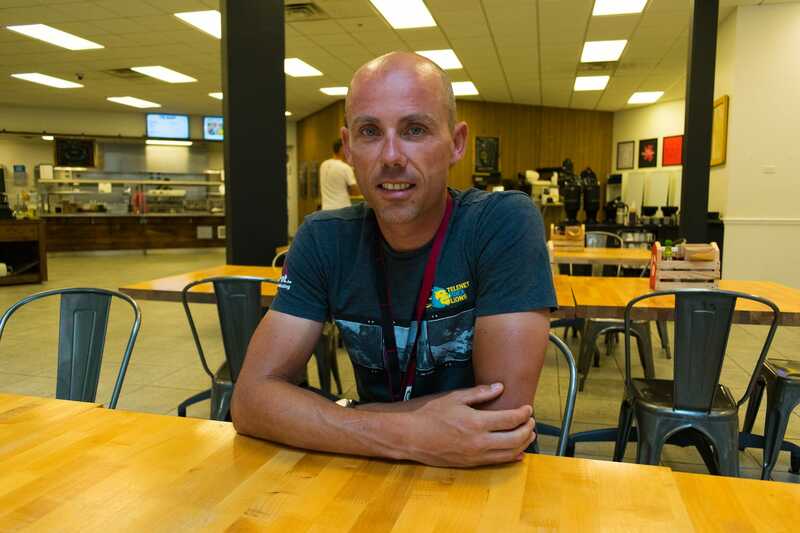 Recently retired from pro racing, Nys is now a team manager, businessman, and brand ambassador for the US’s only billion-dollar bike company, Wisconsin-based Trek Bicycle Corp.
Sven Nys is to cyclocross what Michael Jordan is to basketball: his sport’s greatest. The Belgian retired last year, but not before winning 140 races, including seven World Cups and two World Championships. Over two decades, Nys dominated his sport like nobody had ever done, earning himself the nickname the Cannibal from Baal. With a winning combination of fitness, technique, and racecraft, Nys became the best-known name in cyclocross. Cyclocross is one of Belgium’s biggest sports, whose races are nationally televised and attract tens of thousands of spectators. The season runs from September to February, and some would like to see cyclocross become an Olympic sport. The bikes look like road bikes but have knobby tires and other features that make them suitable for off-road riding. Courses are about a mile long, and riders complete several laps with the winner being the first person across the line. Amateurs race for 40 minutes with the pros going a full hour. 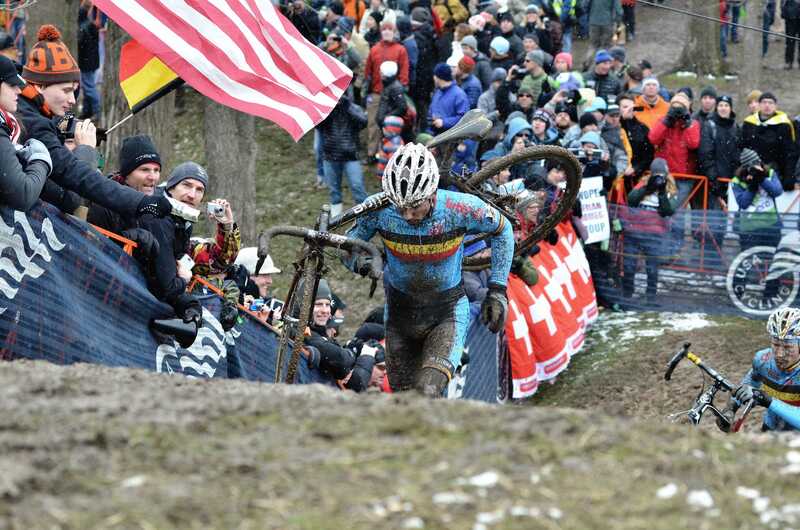 Cyclocross is most popular in northern Europe but is the fastest-growing discipline in US cycling. Older than the Tour de France, cyclocross started as a way for road cyclists to keep fit in the winter, but it’s now very much its own sport, and it has seen explosive growth. Nys, 41, sat down with Business Insider to talk about his career and lessons for success, on and off the bike. We caught up with him in Waterloo, Wisconsin, at Trek Bicycle Corp., where Nys is an ambassador and helps the US’s only billion-dollar bike company with product development. He occasionally jumps into local amateur races too. Daniel McMahon: You enjoyed an extraordinary professional racing career that spanned 20 years, winning every cyclocross race that mattered. When you look back, what were the most important lessons you learned? 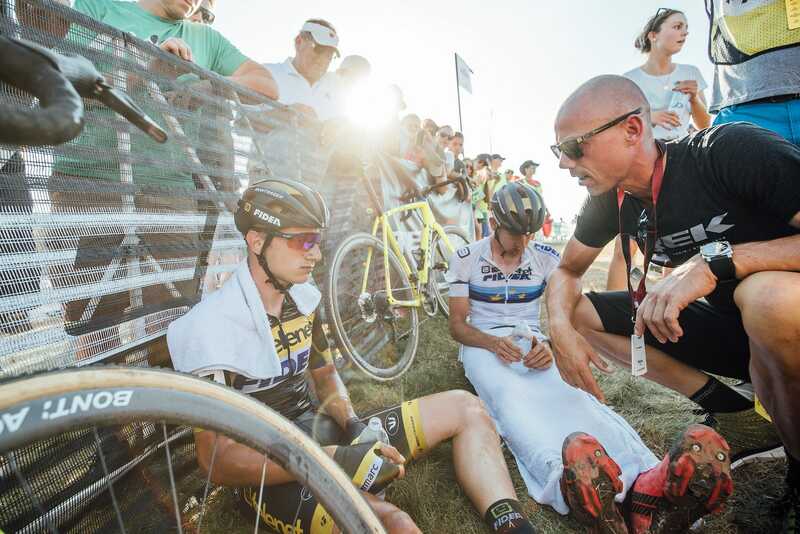 Sven Nys: First, you need to have the passion and really love to ride your bike every day at the highest level. Also, for me personally, my goal was to always try to beat another generation, to try to beat the sport again. Trying to develop myself even when I was 37 years old. In 1997, when I started as a professional athlete, my sport was not like it is now. I needed to develop myself to beat the next generation, but things also changed in the sport. Bikes have changed, the sport has gotten faster, and it’s becoming more professional. But my goal always was to try to be one step in front of all the others. That was my motivation. That helped me to work every day during the year, and very hard. And it never stopped. McMahon: Is that why you competed in road racing in addition to cyclocross? Nys: Yes, exactly. I did road racing almost every year to prepare myself for the cyclocross season. At certain times I did more road racing and some of the spring classics. But I never forgot what I was really good at. And that was cyclocross. I’d do a whole season of cyclocross and then some of the spring classics, up until Paris-Roubaix. But I never made the decision to ride on the road only, and then maybe do a dozen races in cyclocross. No. It was always the opposite: Cyclocross was always most important. McMahon: You say you always wanted to be ahead of the next generation, so clearly you had to work harder than your rivals. Nys: Yes, but the discipline also changed, and the materials changed. So you needed to not only develop your own skills but the bike too. Also, going to training camps and sleeping at altitude. It was always step by step, doing some new and different things. For example, I took the decision in 2005 to ride in the summer mountain-bike races, which helped me to get stronger in cyclocross. And it motivated me in different way to prepare for cyclocross. That’s the reason I was always motivated and sharp about trying to be the best. McMahon: You took your physical conditioning seriously, more so than others took theirs. You were always trying new things to complement your training on the bike. For example, you incorporated plyometrics into your workouts. Nys: Yes. And not using weights too much. Riding my bike was most important, doing all the power training on the bike, because that’s specific and that’s really important. Also, core stability, and trying to be in balance – your whole body, physically and mentally. And you need to be ready before the season starts. Don’t think in September that you need to train or that you can still grow a lot. No, no, no. You need to be ready before September. With the schedule I created for myself, I saw a lot of times that others copied what I did. And if you copy somebody, you are always too late. And that was always my luck, that I never copied somebody, that I developed something new. And they were always one step behind. McMahon: Where did that thinking come from? Sven: I was just trying to be creative. If you see that your sport is changing, you need to change yourself and think about it and work with people around you who are really smart in what they do, whether as a coach or as a managing director. A lot of people around me were really strong in organising events, in publicity, in coaching, and that was all very important. That is why I’m sitting here right now. McMahon: How did you become a professional cyclocrosser? Nys: I started when I was 5 years old as a BMX kid, and I did that until I was 15. At that time in Belgium, BMX was not all that popular, and of course it was not an Olympic sport back then. I was looking for a discipline in cycling where I could show my technique, my skills. On the road it was not easy. Then I took the decision, OK, first let’s do some BMX races, and then in the winter I’ll go and do some cyclocross races. Then I just felt it:This is what I love to do. McMahon: You were competitive up until you retired last year, at age 40, when most cyclocross pros have long since retired. How did you stay competitive for so long? Nys: You know, I worked during my last year even harder than in the beginning of my career. I just never felt it was enough. The pressure and the racing, maybe that was the only thing that I ever felt made me say, OK, that’s enough. But the hard training, watching your diet, trying to develop yourself, even when you’re 40, that was what I loved to do. I still love to do it today. I just love it, racing and trying to be the best. McMahon: Was there one change you made during your career that had a significant effect on your performance? Nys: There were a lot of things, but at one point I went too far in my diet. I felt my power was gone. My coach said to me, “You need to find a good balance.” That meant eating some more fat and finding a good combination in my diet. At one time I felt that was out of balance. Turns out I wasn’t eating enough fat. It’s like I lost my energy. We changed things up, and that helped me to stay healthy all season. I had more resistance. Also, when I started in cyclocross, there were no training camps in the winter. I started with that, and now all the riders, they go in the middle of the season, somewhere warm, like Spain, to train at altitude. McMahon: You were also one of the first cyclocrossers to have your own campervan. Nys: I was. In the beginning, I was going to the showers in the locker room that was available from the event, and at a certain point I said, “Hey, when I come to the locker room, it’s always cold water.” Because [after doing postrace interviews] I was always the last guy who needed to go to the showers, and there was never any warm water left. Eventually I said, “I need to have a campervan for myself that I can shower in, that is going to help me stay healthy, that has everything around me, including my mechanics.” So, you know, it’s 5% here, 12% there, and then, step by step, you’re getting more professional. The point is, you can always grow. Even now, you can make some small steps, which is what you need to be thinking about. Today, I’m in another position, but I can help the young guys. McMahon: And now everyone has a campervan. Nys: Yeah – and it’s strange if you don’t have one. McMahon: Who was your greatest rival? Nys:Whew – I had a lot. But the most difficult one to beat was Zdeněk Štybar. He was technically on the same level. He was really explosive. He had a really fast acceleration. When I was young I had it also. You know, when we trained together, we killed each other. We were always pushing ourselves until, and over, the limit. Always. Not for a few weeks, but 365 days. When I was in a race and thinking I was going to try something, he was there. For me, he was the most difficult one. But it was also because I was getting a little bit older. He was still younger. My explosivity went down a little more, so I needed to use my experience more, and my power. So it all needed to be in a good moment for me to beat him, and him to beat me. That was a really important period for me to push myself to a higher limit. Štybar is a really nice guy too. He loves cycling. And he’s still a good rider. McMahon: And what about Niels Albert? Nys: Niels was a talented guy, but he didn’t have the same passion as Štybar had. I think training 365 days in a year on that level was not his main goal. He was more for a period and trying to be world champion, and then he had a little bit of decompression. It was not so difficult to beat him because he was not so explosive and he had not really good acceleration. He won 90% of all his races going from the first lap, like in a time trial. But if you could hold him, it was always easy to beat him in the end. And that was the problem I had with Štybar. He was very difficult to beat. With Albert, it was always, like, OK, we’re three, four, five laps together into the race, so all right, it’s not a problem anymore to beat him. Harry Engels/Getty Images‘I worked during my last year even harder than in the beginning of my career,’ Nys told Business Insider. McMahon: What was your biggest challenge, and how did you overcome it? Nys: I think technically. I was the strongest during my career, and that helped me a lot, definitely in the beginning, when I needed to race against riders who were much older than me and had the power and the experience. I could beat them with my technique. At a certain moment I not only had the technique but then the power came and the experience, and then you are on the best level that you ever can reach. But then the explosivity starts to go down, you’re more afraid, and the technique goes down a bit. But it’s OK, because it never goes completely down. You still have a lot of power and a lot of experience, and even then you can still win races. It’s nice to learn to accept that, too, and also to know that some things have maybe changed that helped you to be the best till the end of your career. You need to react, and need to know at the beginning of a race that you’re not as explosive anymore and that you have to wait a little bit longer. At the end of my career, I was, most of the time, a rider who came out of the background and won races just like that. I stayed calm and used my experience. So if you can feel that, if you know how to handle that, then yeah, that’s really nice. Ethan A. Glading / @thepenultimatestageNys won his second world title, in 2013, at the cyclocross world championships in Louisville, Kentucky. McMahon: Do you have a favourite victory? Nys: Louisville is one of my favourites. It’s not only the victory and the world title – because I won a lot of really nice races – but everything around the race. It was the first time we did that big a race out of Europe too. It helped us promote our sport. People saw me as an ambassador for the sport the first time. It changed my life, because if you see what I can do here now in the US and outside of Belgium, that started in Louisville. It opened doors. Jeff Kennel/Trek BicycleThese days Nys manages the Belgian-based Telenet-Fidea Lions professional cyclocross team, which is sponsored by Trek Bicycles and its wheel and apparel brand, Bontrager. McMahon: You manage the Telenet-Fidea Lions cyclocross team, you’re a Trek ambassador, and you’re a consultant to companies in Belgium. You must be the busiest person in cyclocross. Nys: I also do commentary for Sporza, Belgian national TV. I do 35 days.Tour de France and Tour of Belgium. Sometimes for radio, sometimes for TV. McMahon: And you have your cycling center. Nys: Yes, the Sven Nys Cycling Center, where we have Sven Nys academies, where the GP Sven Nys race takes place, on January 1, and where we have a classic for all amateur riders on the road. There’s a museum of cyclocross. You can eat and drink there. Something for everybody. It helps to develop young riders, but I can also do workouts for companies there, ride my bike with people from companies, give speeches and hold clinics, so everything comes together. It’s all in Baal, where I live. Daniel McMahon/Business InsiderNys in the cafeteria at Trek Bicycle Corp., Waterloo, Wisconsin, September 2017. McMahon: What do you make of today’s stars,Wout van Aert and Mathieu van der Poel? Nys: Well, they’re big talents. They are the two kings of their generation. And in every generation you have a few of them. Like you had Niels Albert and Štybar and I before, and a lot of other riders in the past too. So now we have two guys who are doing a really good job for cyclocross. It’s going to be really difficult to beat them in the next few years. Nys: Mathieu. If you see it really extremely, if you see Niels Albert and you see Mathieu van der Poel and Wout van Aert, it’s a little bit the same. If you see Van der Poel and you saw me, that’s also a little bit the same. Maybe they are even better than us. But Mathieu has more technical skills, has more explosivity. Wout has more strength. Wout looks, as an athlete, already a little bit … older. He’s a little bit slower, he’s a little bit more using his power. But Mathieu has this [makes fast zigzag motion with his hand], a special move after every corner, and that’s what people want to see. 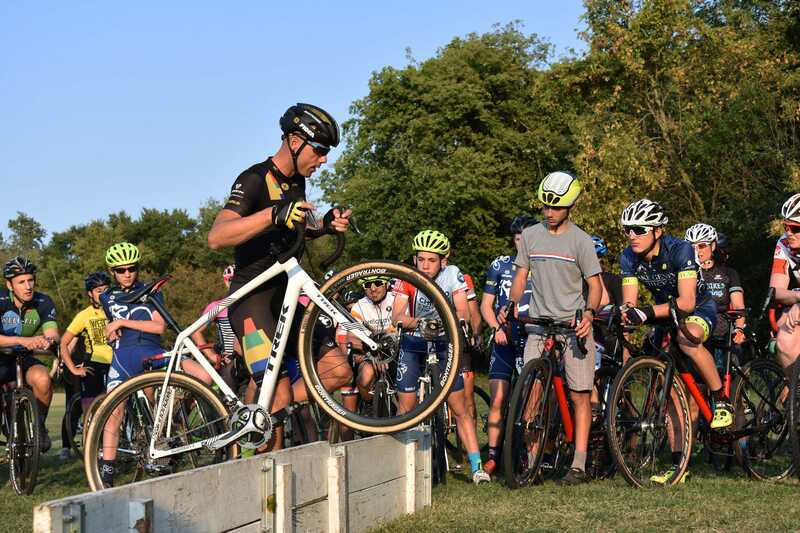 Daniel McMahon/Business InsiderNys in Chicago: After he stopped racing, the Belgian star signed with Wisconsin-based Trek as one of its brand ambassadors, putting on cyclocross clinics in Europe and the US and representing the company worldwide. McMahon: Cyclocross has grown in the US, but there have been ebbs and flows, as champion Katie Compton put it. 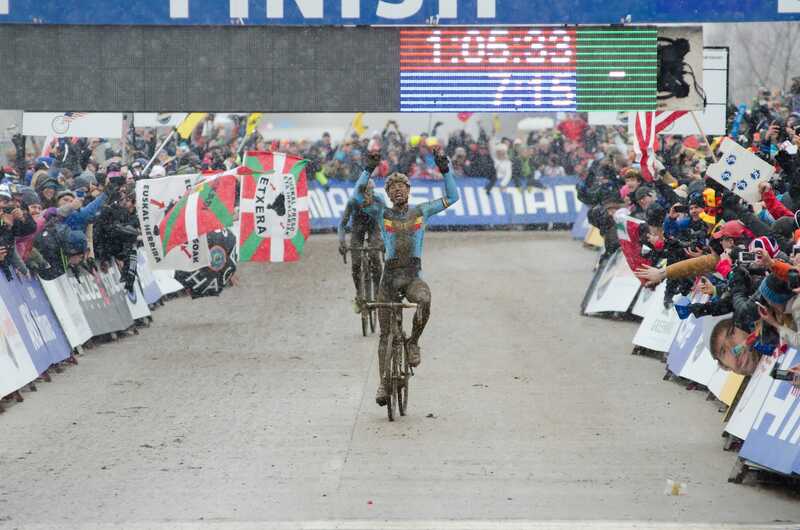 What needs to happen to make cyclocross a bigger sport? Nys: Well, step by step, we need to see young riders who develop themselves and start to race top 10s in World Cups, because that helps. Then there are going to be more companies interested – coming out of the US – to invest in our sport and do more races on a high level. The biggest opportunity you need to catch is show it live on TV. If we can create that in the US, then things are going to change. If we can have the two World Cups [Jingle Cross and Waterloo World Cup] right now on NBC, for example, that’s going to help a lot because that money is going to be involved in the sport. Ninety per cent of all our races are live on TV in Belgium, so you can imagine how big it is. McMahon: What advice do you give young athletes? Nys: You need to invest and learn how to train and prepare yourself. At some point you need to learn in Europe. In the US, you have people you can learn from who did well in the past, like Jeremy Powers and Tim Johnson, and use their experience to help develop young riders. That’s what we do in Belgium. That’s what’s happening now with Trek and the World Cup. And the level is going up. It’s unbelievable what we’re seeing now, how much interest there is for our sport. And it’s not only people who are riding now, but also people who just want to watch the race. That’s the difference. In Belgium, 90% of the fans coming to watch the race do not race; they watch the race and they go home again. It’s another way of making publicity for your sport. McMahon: Do you miss racing? Nys: I don’t miss racing, but I miss the time to train every day, to do the workouts, because I’m busy with a lot of things now. But if I have space during my day, I want to have a good workout, because my main goal right now is to give all the experience I’ve had in my career back to young riders, to companies – for example, with what you see here at this company. Here at Trek, the employees are riding their bikes during the day, which helps to create a community and to be one family. That helps them accept when things are going wrong. They become friends. The leader of a team and the guy working on the floor, they’re not far from each other when they’re doing sports. They’re equal. Now, I want to explain that to companies in Belgium, which is what I’m doing. I want to talk to companies, I want to talk to small kids who are riding bikes, to have the passion like I did. There are so many opportunities. I think that’s also why I try to stay healthy, because I can’t talk to companies and say, “Hey, you need to do sport” if I’m not in shape. I’m a bit different from the competitors from the past few years, and this is one of the reasons. McMahon: Are you going to do another book? Maybe one in English? Nys: Maybe. I had a few books before, in Belgium. Maybe there is still some space for a new book about what I’m doing right now and how I’m trying to get people to be healthier, to jump on a bike, to promote sports generally, and try to avoid the difficult period after you retire from a professional sports career. Because a lot of athletes struggle with that. For the moment, I’m really happy with what I’m doing because I created it myself. And it’s not only because I had chances, but also it’s the way I lived my life. That helped me be an ambassador for companies and to do what I’m doing right now. Every day you need to work really hard, and I think that would be the most difficult part during retirement for athletes, because everything is done for them while they’re racing. They are brought their bikes to the start, their clothes are washed for them, the food is on the table. I was prepared to work again and to build something up – even to clean bikes for the riders and to coach them. If you’re prepared for that, you can build something new. careers cycling cyclocross features sportspage-us sven nys trek bicycle corp.